Our clinic is an accredited dry eye centre providing the latest and most accurate diagnostics in dry eye management. Dr. Skouras is one of the few eye doctors offering the TearLab Osmolarity System in Toronto. What is Tear Lab ? The TearLab Osmolarity System is the first objective and quantitative test for diagnosing and treating patients with dry eye syndrome. 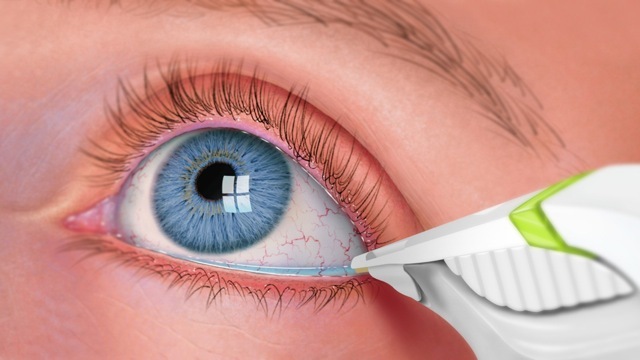 This system provides fast and accurate results that only requires a small amount of tear film to diagnose dry eyes. 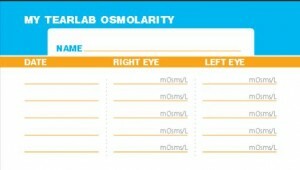 How is Tear Osmolarity Measured with TearLab? Tearlab then generates an osmolarity number using a scale from normal, mild, moderate, to severe ,that gives accurate interpretation to the level of severity of your dry eye condition.